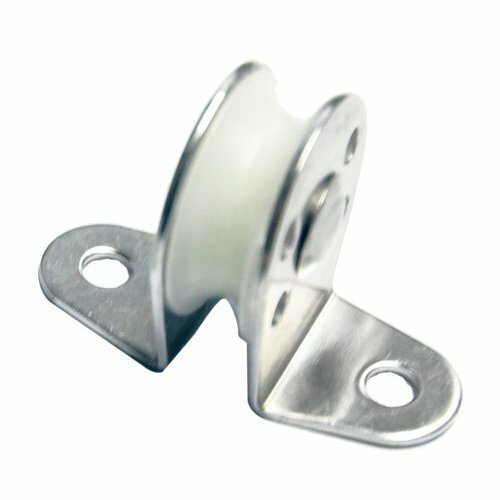 Miami Stainless high quality AISI 304 stainless steel Continuous Wire Pulley can be fastened to any flat timber or steel post, wall or panel to create a wire balustrade system from one continuous length of wire rope. It is advised 7 x 7 or 7 x 19 construction wire rope is used as they are flexible enough to follow the curves created by the pulleys. Use Miami Stainless Swage Studs to suit 2.5mm wire for termination points.